Spectre is now showing everywhere and is distributed in Australia by Sony Pictures. With 24 films now making up the 007 catalogue, James Bond fans have been spoilt over the years with the variation of quality films to be featured within the realm. However, the variation of films has meant that many fans prefer a particular type of Bond film over another and Spectre is the type of Bond film that will appeal to some of his faithful more than others. As a stand alone film it is particularly well made, but unlike many of the past Bond film does require a pinch of knowledge of the past films with an unexpected link between films. After James Bond (Daniel Craig) receives a message from beyond the grave following his last mission, he starts to believe that there may be a connection to a higher organisation, despite reservations from M (Ralph Fiennes) who is preoccupied and fighting the agency's own war in London. His suspicions turn out to be justified when he tracks down the underground organisation, but he never suspected the head of their organisation would be a direct link to his past and someone who still very much holds a grudge against him. To stop his long lost enemy, he must track him down before his followers find him and protect Madeleine Swann (Lea Seydoux) who he swore to protect. Spectre is a Bond film that will delight some and infuriate others. In the past four Bond films where Daniel Craig has played the special agent, we have seen a James Bond that is more humanized than he has been in the past when portrayed by such favourites as Sean Connery and Roger Moore. Rather than be the mysterious, enigmatic Bond with a past that isn't discussed, Craig's Bond has been the one that has opened a chapter on finding out who really is the man behind the mystery. In Casino Royale, audiences were treated to an understanding of why he never could quite settle or calm down with women as the one true love of his life in Vesper Lynd was cruelly taken from him. In Spectre, the subject of his upbringing and his family is approached as never before. 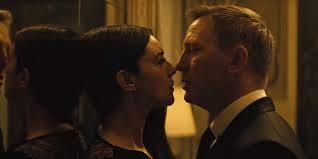 Therefore, Craig's Bond becomes more relatable and more human...which won't sit well with fans of the past James Bond. Missing from Spectre is also the abundance of fun gadgets and gizmos which Bond films had become known for. In Sam Mendes' film, there is the obvious inclusion of Q's (Ben Whishaw) improved Aston Martin and a watch which is really a secret weapon. So it is these members of the fandom who appreciate the older Bond who will feel that Spectre has not paid a proper tribute to their beloved spy hero. Yet, there are also fans who have found that in the past decade, this Bond played by Craig has been the one they greater admire. Something that fans of the last four films will appreciate more than others is the way that Spectre answers questions regarding Bond's past and links up with Casino Royale, Quantum of Solace and Skyfall. With it's well-written screenplay, the film offers it's audience a sense of intrigue as to what really did happen in Bond's past as it is a personal journey for Bond. Although even this inclusion of learning more about Bond's family may be problematic to some, as these revelations almost appear out of nowhere when his family and past have only had miniscule mentions over the past fifty years of Bond. Yet, it is refreshing knowing more about 007. However, Spectre is undeniably a very well made film. The opening scene, which takes place on the Day of the Dead in Mexico City, is incredibly impressive with a great air of intrigue and danger, exquisite travelling camera shots and wonderful costumes and music. One thing that no Bond fan will be disappointed with is the quality and quantity of action sequences. The special effects used in the highly intense scenes which involve combat or explosions are incredible and wonderfully designed. The production, set and art design is brilliant and costume design by Jany Temime perfect. "Writing's On The Wall", as sung by Sam Smith, is another great Bond theme song which fits the feeling of the film as the opening credits play. Daniel Craig gives another solid performance as James Bond. It is perhaps not his most emotional of performances as the man and considering the subject of his family and childhood, should have gave a bit more. However, this would again be out of character for James Bond if he had become too emotional. Ralph Fiennes as the new M is very good and gives the character the strength and presence it deserves. Ben Whishaw is always quirky and intriguing as Q and Lea Seydoux gives an incredibly strong performance in her turn as a Bong girl. However, Christoph Waltz as a Bond villain does not hit the mark quite as powerfully as what he should. There is no denying that Waltz is very charismatic on screen, but the role does not seem so far removed from his previous villainous roles and does not come across as overly intimidating. 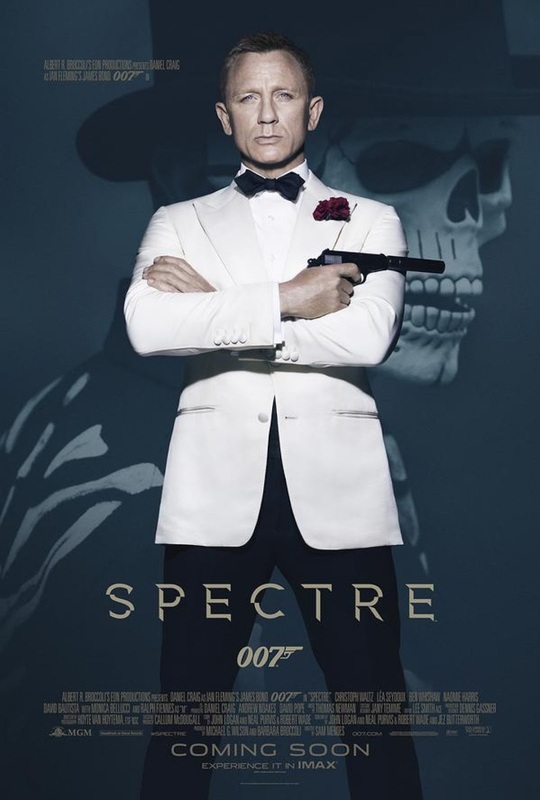 Spectre is a Bond film that will have it's admirers and critics depending on what type of Bond fan one is. A stunning film, but hard to judge it as a stand alone film when it has obvious links to previous Bond films.